Hands up those of you who spent last weekend steering clear of the cold weather? Watching reruns of Bewitched no doubt? 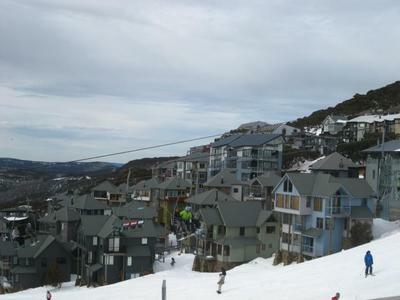 Instead of avoiding the wintery conditions, why not embrace them with a trip to Mount Hotham? A four and a half hour drive from Melbourne, its best to make the most of it by taking some annual leave, packing up the family and having a midyear holiday. Or, if you're so inclined, grab all of your mates and hit the road for a four day getaway. Winding your way up the Great Alpine Road, you'd be forgiven for thinking that Mount Hotham and its neighbouring towns look more at home in Colorado or British Columbia. Sprawling forests, log cabins and snow covered roads set the North American-esque scene. Venture up with the family and there is a ton of stuff to do. Build snowmen, warm yourselves by the fire at one of the many cafés and restaurants or get a skiing or snowboarding lesson. For those seeking something faster paced, grab your gear and hit the slopes straight away, then party the night away at Swindlers, Hotham's premier night spot. Lift passes vary in price depending on what package you get, but they range from $106 for a the pass only to $225 for an all-inclusive lift pass, lesson and equipment hire. There are even packages for beginners, starting at $94 for a one day lift pass and lesson. Entry to the resort is simple. Your entry permit is now purchased online, saving the hassle of waiting in traffic. Entry will set you back $39.50 per day for a regular passenger car. You can stay on the mountain itself, with many serviced lodges and apartments in the heart of the resort. This can get pricey, however (average rate of around $900 per night), but suitably affordable accommodation can be found in Harrietville (a much more palatable average of $200 per night), only a 24 minute drive up the mountain. 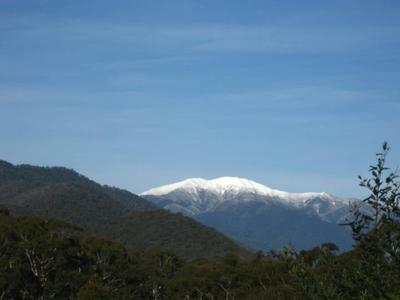 Whichever way you do it, visiting Mount Hotham will make the colder months that bit more bearable. So grab your skis and hit the slope. Sounds a lot more appealing than TV, doesn't it? Not sure what year this article was written, but prices are slightly higher in 2013 - In 'Learn to Ski Week' (8-14 Sept) you pay $99 for one day lift pass, lesson and ski hire 8-14 Sept, otherwise it's $110 for one day only lift pass. Outside of that week, it's $100 for a one-day adult lift and lesson pass, and you add on $67 for equipment hire (doesn't include clothing). PLUS you now pay a $3 RFID fee when you first purchase a lift pass, due to the new technology they're introducing this year. Resort entry is $43.50 for a car or 4WD if bought online, $48.00 if you buy on the mountain. And you MUST carry diamond-pattern chains if you enter the resort - so if you don't have them, you need to also factor in hire of them. :) But it's still a great trip to do.